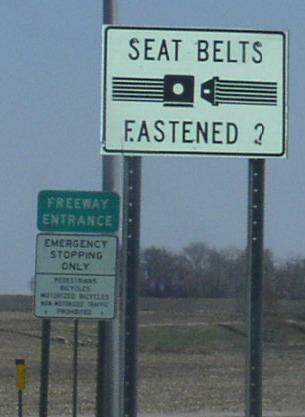 A seat belt sign on the ramp from a rest area near Jackson on EB I-90. 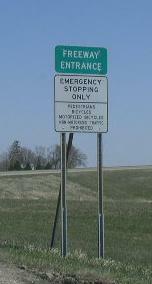 A ramp entrance marker on SB BUSN Loop I-35/U.S. Rt. 65 at SB I-35.